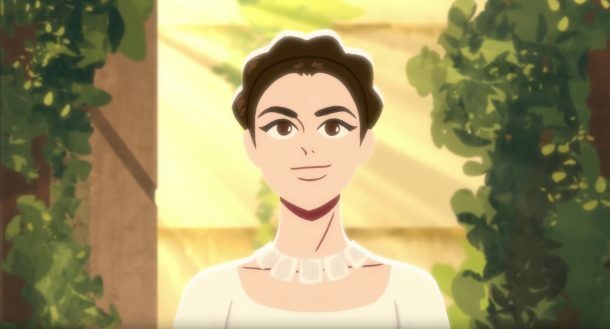 Today I would like to talk about the latest Galaxy Of Adventures short that features Leia. So far, the shorts used audio snippets from the original trilogy movies and more or less faithfully recreated the scenes from the movie using animation. For the latest Leia episode Lucasfilm did something different though, and I feel we should discuss it and what it means for both official canon and the overall franchise going forward. Click through for more details! 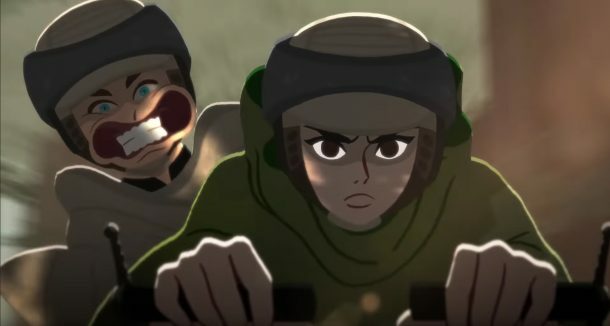 I think we need to talk about what Lucasfilm is doing with Galaxy of Adventures and what their intentions are. I suppose we all know A New Hope by heart. Han and Luke rescue Leia from the prison block, Leia is less than happy when she finds out the two have no real escape plan, the heroes make a last minute escape and while Luke is preparing to swing with Leia across the chasm, Leia blasts away at the Stormtroopers so Luke can prepare the cable, she then gives him a quick kiss for good luck and they make their escape. So the two worked as a team, as equals. 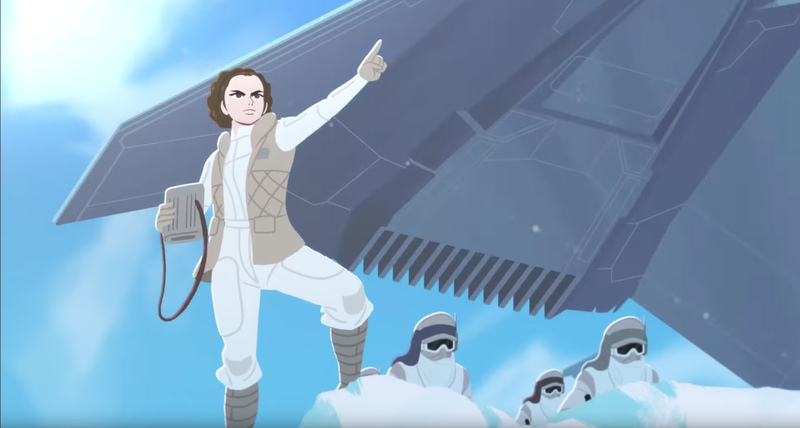 The latest Galaxy of Adventures episode rewrites Star Wars history. 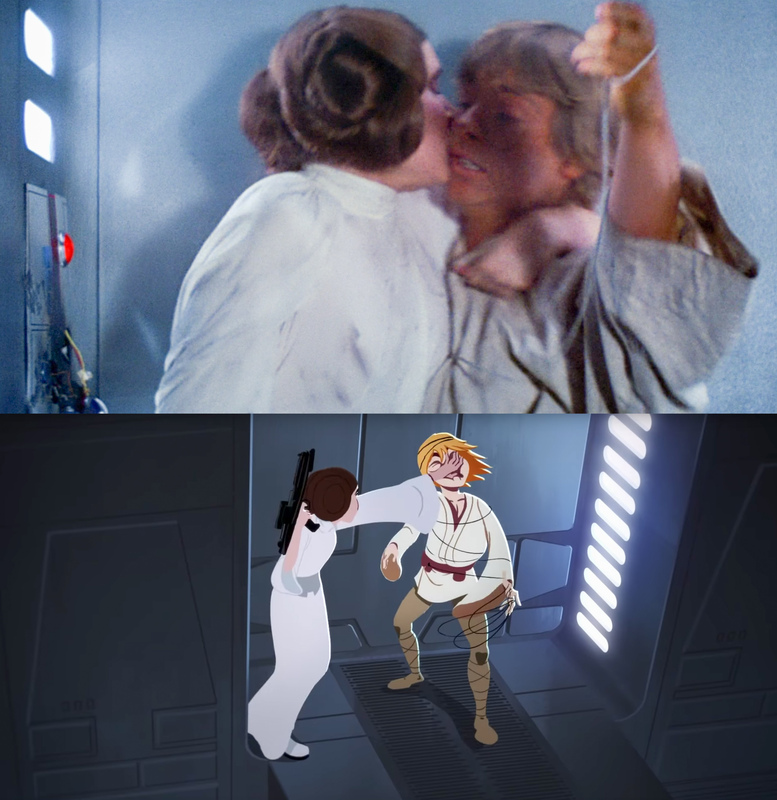 In the short Luke is portrayed as a bumbling fool who is too clumsy to unwind the cable and manages to get completely tangled up in it, Leia gets so annoyed with him that she literally slaps him hard in the face to express her anger. The entire episode manages in about a minute to rewrite several scenes from the movies, since it features clips from The Empire Strikes Back and Return of the Jedi as well. In the short Empire Strikes Back clip she commands Rebel Troopers on the battlefield of Hoth to advance, in the very short ROTJ clip Luke appears to be panicked and makes a silly face when Leia and he take the speeder bike. And the short clip from the medal ceremony shows a Leia who grins smugly. Success! All because of ME! I wonder about several things here. I thought all Star Wars content in the Disney era is supposed to be canon? Is Galaxy of Adventures supposed to be canon? If so, what does it mean for the original trilogy movies when Galaxy of Adventures blatantly rewrites movie history? Or is Galaxy of Adventures NOT canon? If so, what are kids (or especially girls) supposed to think when they first see the cartoon and then the movies and find that none of the scenes in this particular Galaxy of Adventures episode play out in the movies like shown in the YouTube short? What message is Lucasfilm trying to send here? To use sound bytes and original dialogue snippets from the movies, but then to animate some weird parallel universe version of the scenes for a show aiming to get kids acquainted with Star Wars is more then questionable, in my opinion. So, Lucasfilm, what is your intention here? And what do you think? Do you think it’s ok and not at all that much of a problem when the short Galaxy of Adventures clips rewrite key scenes from the movies? Or do you think Lucasfilm should reconsider their overall approach and ideology and think very, very hard about what the original trilogy means to fans old and new? And even though I hate the word, you have to ask, what is the underlying agenda here? Ultimately, I think episodes like this one hurt Star Wars, hurt the franchise and hurt the movies and it sends all the wrong messages and signals. Where once the heroes were depicted as equals and helping each other out and being best friends, we now see how Luke of all people is a complete fool, inept and clumsy, and Leia has to save the day again and again and even resorts to physical abuse. The latest Galaxy of Adventures episode should be taken offline and Lucasfilm should address the issue, I believe. And whatever management we have at Lucasfilm that is responsible for this, whoever not only wrote the script and especially gave the greenlight should never work on a Star Wars project again. They seriously don’t understand the franchise, its characters and the fans. One might get the impression that whoever is responsible for this episode hates Star Wars, hates Luke Skywalker and is ill equipped to be involved with Star Wars in any function whatsoever. Now, I hope we can discuss all that. But one very important caveat and rule: don’t insult and attack anyone on a personal level! Let us talk about it in a constructive manner. Like, love, dislike or hate as much as you like, but please just focus on the content, on the decisions made by the people at Lucasfilm and what it may mean, but don’t resort to ad hominems and personal insults. Any such comment will get deleted! No exceptions! Thank you! And now let’s discuss! I believe there’s much to talk about here. Source: Galaxy of Adventures Leia – The Rescue episode on YouTube. What Do You Want For The Mandalorian Toyline? Watch The 5 Minute Preview Of The First Mandalorian Episode Here! Next Article: Kessel Run Millennium Falcon 50% Off At HTS' eBay Store!